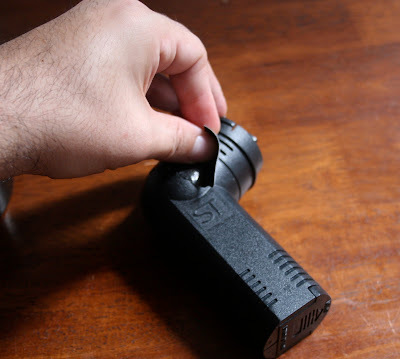 In Part I of my guide to replicating the PolyScience Smoking Gun, we discussed the basics of the gun as well as previous DIY attempts. 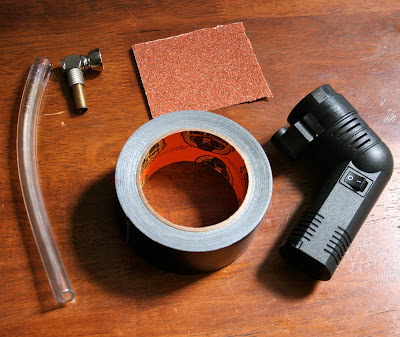 In this segment, I will walk you through my process for making your own smoke gun with some very simple parts. Even though this guide will produce a working smoke gun, in the end, you will not have a PolyScience Smoking Gun. You will have something that looks similar to one, but most likely will not be as durable. Even with some of the improvements I plan to make in the future, it is unlikely that this is as good as a PSG. PolyScience specifically mentions details that makes me believe this device is different under the hood. I am willing to bet that theirs will survive longer and get better results. For example, they mention a "Heavy-duty metal blower fan". Cursory examination did not reveal anything resembling sturdy construction. That being said, you can't beat the price, and if you find yourself burning out the DIY ones, spend the money and get the real thing. Finally, I have to assume they know more about food safety than I do. Before we begin, I need to give the disclaimer. You know, the one where I make no warranty that any of this is safe. That applies to both the construction and use of said device. If it explodes in your hand, not my problem. If the plastics or the smoke gives you tumors, don't call me. If it explodes and gives you tumors, don't call me... just email me some pics. Please read the safety section at the bottom of this post. Your best bet is to go to the hardware store and buy the 3/8" vinyl tube, and then go to a pipe store and keep shoving pipes into said tube until you find one that fits. If your experience is anything like mine, you will spend 15 unconvincing minutes trying to convince a thoroughly disinterested shop keeper that your goal involves smoking scallops and not illicit drugs. Finally, after said shopkeeper warns you not to smoke scallops, because it will just melt scallop goo into the pipe, and reiterates that this pipe is for tobacco use only, you will just shut up and buy the pipe. Don't forget to buy screens. The first step is to work around a manufacturing flaw with the Syba vacuum. The fan blades protrude too far and touch the outer housing. As a result, the fan won't spin. That's where the coarse sandpaper comes in. Sand down the fan blades as illustrated below. As you are sanding, every so often, put the outer case back on and test the vacuum. 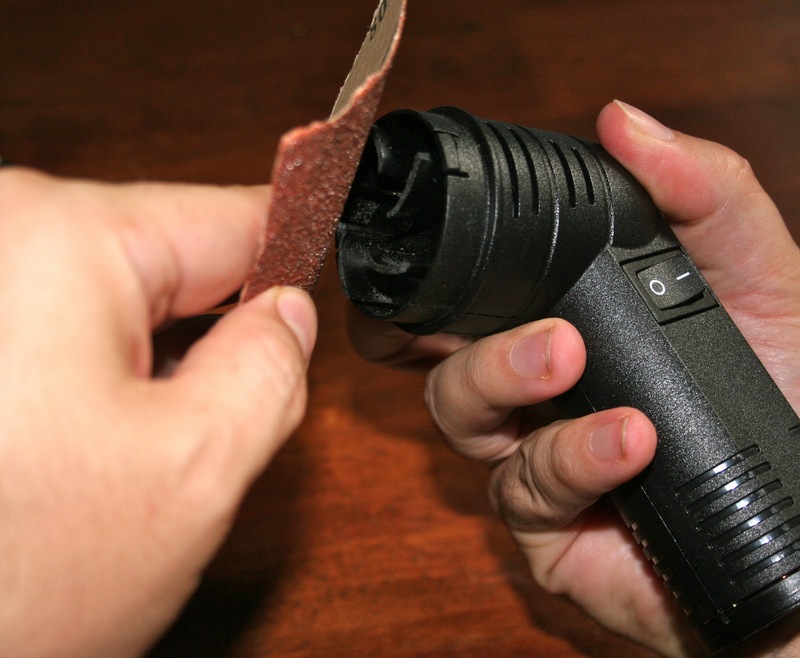 As soon as the vacuum runs smoothly, you can stop sanding. Now, clean the fan and make sure you don't have little plastic bits everywhere, as they are not delicious. The next step is to cover the vents behind the fan blades with the Gorilla Tape. While this won't be good for heat, it will be good for minimizing smoke loss. Now, jam the pipe into one end of the 3/8"tubing. Delicately put the other side of the pipe into the input of the vacuum. Mostly Constructed. Just Add Second Tube. 1. Be more permanent. Right now, its pretty fragile. This also means that some of the smoke will exit the vacuum through some of the seams in the unit. 2. Replace the vinyl tubing with something safer for high heat. I think this model is fine for light use, but I wouldn't use it frequently or for high volumes. This particular version is more of a proof of concept, and I would not recommend regular use. This is primarily because of the the tubing. Even though it is food safe, it probably not be safe at high temperatures and may degrade over time. I don't think the risks are that great if you are using it judiciously. I haven't kept mine on for more than 5-10 seconds. This can be improved by replacing the vinyl tubing with food safe thermoplastic or possibly silicone tubing, which you can purchase from a home brew supply store. This should be safer against high temperature uses (go for the highest temperature rating you can find). The final concern is that the plastics in the vacuum might release toxins if exposed to higher temperatures. This is also true of other DIY smoke guns as well. Assuming you aren't using this regularly, you will likely be exposed to these same chemicals in higher quantities via other activities in your life. Just. Be. Smart. And, see the above disclaimer. Also, smoke is a carcinogen too. So avoid that too. I suggest buying some pipe screens to put in the bowl so (relatively) big hot things don't fly into the fan/pump if those things aren't already protected. I bought one of what the "tobacco" enthusiasts call electronic pipes. It cost me $20 with shipping and works great. A whole bunch of the screens layered on top of each other and stuffed into the bowl protects its sensitive made-in-China inner workings. Have you had any issues attempting to use the electronic pipe during excessive use (not sure if you used it at a restaurant or at home)? 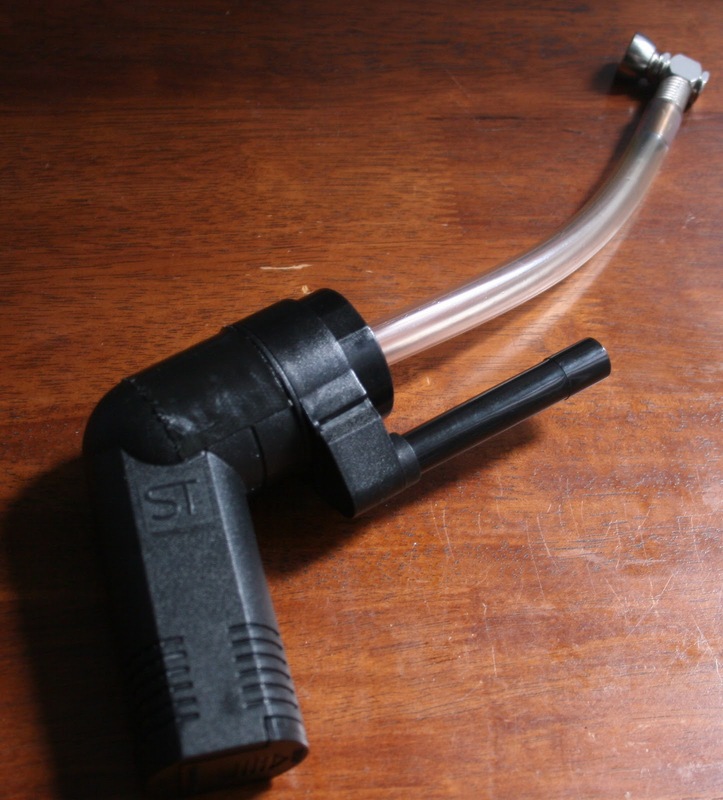 Do you have a link where folks could purchase the electronic pipe?